Scorpio Gold Corporation (TSX-V: SGN; OTC: SRCRF) announced today final results of their 2011 drilling program on the Mary Zone, located southwest of the current mining in the Drinkwater pit at the 70% owned Mineral Ridge project, Nevada. Scorpio Gold Corporation (TSX-V: SGN; OTC Other: SRCRF) announced today additional drill results from the Mary Zone, located southwest of the current mining in the Drinkwater pit at the 70% owned Mineral Ridge project, Nevada. Material mined from the Drinkwater Pit totalled 387,568 tons grading 0.066 ounces per ton (OPT) gold(i), equivalent to 2.26 grams per tonne (g/t) gold. Reprocessed gold-bearing material left on the heap leach pad by the prior operator totalled 328,027 tons grading 0.027 OPT gold(i) (0.93 g/t gold) with an estimated recovery of 45%. Material crushed and placed on the leach pad totalled 715,595 tons grading 0.050 OPT gold(i) (1.71 g/t gold). End of year stockpile balance totalled 1,500 tons grading 0.050 OPTgold(i) (1.71 g/t gold). The established stable recovery rate of gold exceeded 65% by year end.Shipments of loaded carbon totalled 121 tons with an average grade of 106.539 OPT gold (3,652.76 g/t gold) and 60.205 OPT silver(i) (2064.17 g/t silver). In total, 8,125 ounces of gold and 4,843 ounces of silver were sold at an average realized price of US$1,619 per ounce gold and US$34 per ounce silver. Scorpio Gold Corp. (OTC Other: SRCRF; TSX-V: SGN) continues to expand the width of the Mary Zone and further confirm that gold mineralization extends southwest from the Mary Zone to the adjacent Mary LC Zone, encompassing a strike length of 780 metres. Commencement of open pit mining at the Mary Zone is on schedule for later in January 2012, adding to current production from the Drinkwater Pit and increasing the overall production at Mineral Ridge. In drill hole MR11303, 21.53 g/t gold across 1.52 metres. 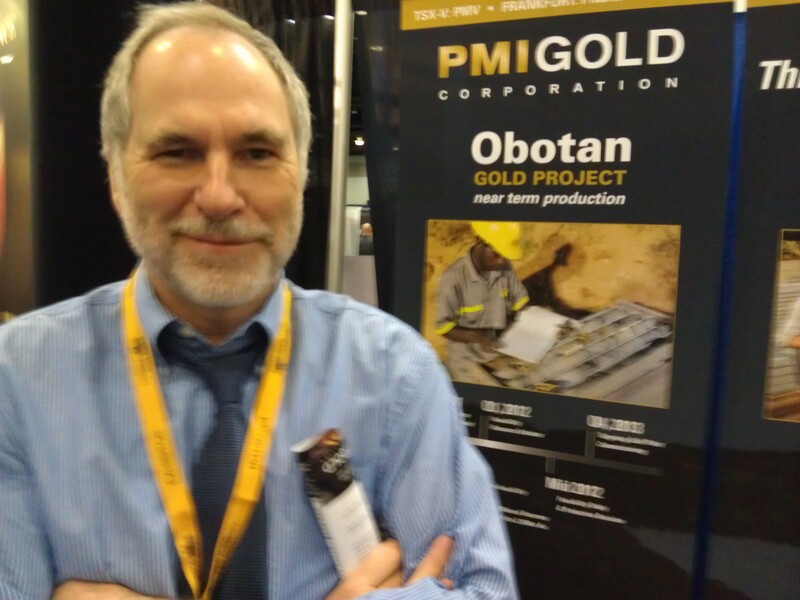 MINERAL RIDGE, NEVADA — Peter Hawley’s current gold producer, Scorpio Gold Corp. (TSX-V: SGN and OTC: SRCRF), hits the ground running. Scorpio, a client of our Torrey Hills Capital, is starting off the new year with pit results from its Mineral Ridge project in western Nevada. The Mary Pit shows 10.67 meters of 3.65 g/t gold and 4.57 meters of 13.06 g/t silver. Our takeaway: an overburden removal at the Mary Pit began in late autumn 2011 and it appears to be working. Scorpio CEO Peter Hawley says the pit looks on track to nail a general target for 2012 production rate of 60,000 to 80,000 ounces of gold equivalent. We’ll see a revised mineral estimate at Mineral Ridge sometime soon. Our team at Torrey Hills and I have been to Mineral Ridge several times. Investors seeking a solid gold producer eventually will see Scorpio account for far more gold ounces produced (and sold) in its quarterly reports than is the case now. And in a producer category. Currently, Scorpio Gold is not classified as a “producer” so it accounts for sales of metal on the balance sheet as mining assets.” The trigger for this change is four consecutive months of 4,500 ounces or better per month. Thus, sales become net income. Based on what we see happening at Mineral Ridge in terms of tonnes moved to the processing plant and average grades, we believe that Scorpio should cross that line well within the first half of 2012. At a cost of $600 per ounce (this estimate from a recent Jennings Research Report), a target of 60,000 ounces creates a quarterly top-line earnings number in the neighborhood of around $15 million. Current market cap of Scorpio is $100 million. I am an owner of the shares. VANCOUVER: I’ll be speaking at Cambridge House’s January gathering of 500 hard asset companies in two weeks. See: www.cambridgehouse.com. Scorpio Gold Corp. (OTC Other: SRCRF; TSX-V: SGN) has released assay results from the Mary Zone, which is Southwest of the current mining inthe Drinkwater Pit at the Company’s 70% owned Mineral Ridge property. Highlights from the drill program include: (i) 3.65 g/t gold over 10.67 metres; (ii) 13.06 g/t gold over 4.57 metres; and (iii) 3.59 g/t gold over 10.67 metres. You are currently browsing the archives for the Scorpio Gold category.